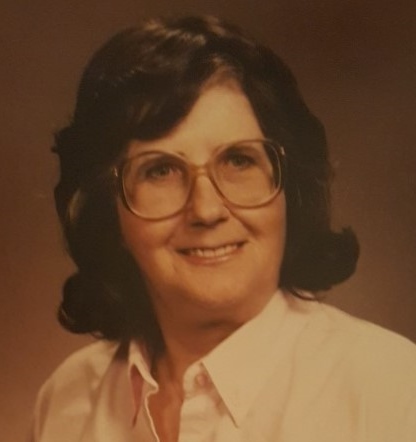 Retired Air Force Major, Margaret Louise Conlin, age 88, passed away on August 19th, 2018 in the City of Mesa, Arizona, from a long battle with Cancer. She was born on August 25, 1929 in the City of Eaton Rapids, Michigan. She was preceded in death by her parents, James and Earnestine Conlin, her siblings, Henry Duane Conlin, Earnest Charles Conlin, and Helen Lois Martin and her Nephews, Gregory J. Conlin, Douglas L. Conlin, and Charles R. Martin Jr.
She is survived by her nephews, Earnest Conlin Jr. (Jan), Robert Martin (Lai), and Bill Martin. Also survived by her nieces, Paula Guzik, Betty Harvey and her sister in law, Bonnie Jean Conlin, and Wife of Gregory J. Conlin, Bonnie Sue Conlin and by her many great nieces and nephews. Margaret enlisted in the Air Force in 1952, served proudly for 20 years and retired in 1972. During her service time, she was stationed in Korea and Germany, and other places, and traveled the world. She rose through the ranks to Major, and retired to follow her other passions in life. She was a life member & treasurer of the State of Arizona rifle and pistol association, and Secretary/Treasurer of the NRA Arizona Chapter. She was a marksman/sharpshooter and pistol champion. Her other loves were woodworking, anthropology and reading. Many, many thanks to Family Comfort Hospice, Maria, and her caregivers, Donna, Brianna from Granny’s Nannies who gave her wonderful care. Margaret lived and died on her own terms. She will be greatly missed by all. A Memorial Service with full military honors will be held on November 14, 2018 at 1:30 PM at the National Memorial Cemetery of Arizona, 23029 N. Cave Creek Road, Phoenix, AZ 85024. Sorry to hear of the loss of Maggie. I worked with her for over 10 years at the Ben Avery Shooting Facility. She was a wonderful and dedicated lady. Best wishes and may she rest in peace.